Many thanks to the PFA for arranging such a great evening last week. The children enjoyed their pyjama party and the adults benefited from Sam Weeper’s presentation on Restorative Practice. We hope to be able to share the slides from Sam’s talk in the future. At the PFA AGM on the same night, the PFA Annual Report was presented and accepted. Many thanks to all on the PFA, particualrly co-chairs Martina Kelly and Kate Wilson, for their hard work and support of the school. We wouldn’t be the school we are without them. 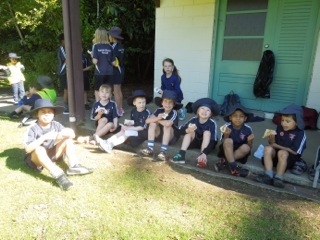 Just one of the ways the PFA supports the school is through providing food at school events. 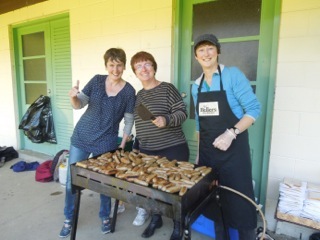 Here you can see members of the PFA cooking up a storm at the school crosscountry earlier this year.